IPL 2018 RCB vs KKR live streaming will be provided online by Hotstar, Jio, and AirTel on their portals. Star Sports network is the official broadcaster of Indian Premier League season 11. 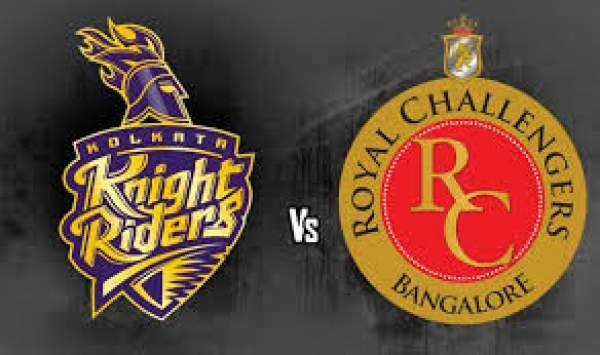 Royal Challengers Bangalore vs Kolkata Knight Riders is to be played on April 29 and is the 29th match of total 60 games as in the schedule. As of before this particular match, Royal Challengers is placed at number seven with winning two matches and losing four in six matches played so far. Bangalore has collected four points and is in the bottom four of the IPL points table 2018. On the other hand, Knight Riders has played seven matches and registered three victories and four losses. It has collected six points. Kolkata has collected six points and is placed number four in the standings table. Today’s match of IPL T20 between KKR vs RCB will start at 8 pm IST and is the second one of the day. The toss will take place at 7:30 pm IST. 30 minutes will be provided for the teams to get going. For English commentary, your tv channels are Star Sports 1 / HD and Star Sports Select 1 / HD. If you are comfortable listening to Hindi commentary, then you can switch to Star Sports 1 Hindi / HD. However, if you don’t have the luxuy to television or can’t watch due to some reason, then also we have a solution. You can watch it online via streaming the match live. The web portals are Hotstar.com, Hotstar app, Jio TV app, and AirTel live tv application. All these can be streamed on mobile phones, tablets, and computers. The app is available for both Android and iOS platforms. The match of today is going to be the home battle for Royal Challengers Bangalore and will be played at M. Chinnaswamy Stadium located in Bengaluru. Both the teams have arrived here after losing their respective last matches. RCB lost to Chennai Super Kings while KKR lost to Dehi Daredevils. Kolkata is already on the fourth spot and can’t afford to lose more games. If it happens, it won’t be able to go in the next round. On the other hand, if Bangalore wants to play in the next round of matches, then it needs to win all rest of the matches.